Just at the time of year when cruises to the fjords should be reaching their seasonal peak, the strike among Norwegian pilots is beginning to cause huge disruption. Many ships are having to switch ports at the last minute or drop calls altogether and spend unscheduled days at sea. One ship has abandoned Norway completely for the week and will instead travel to ports in Germany, Denmark and Sweden. The capital city, Oslo, is completely off-limits to visiting cruise ships and those – such as Vision of the Seas – which use the port for turnarounds, have been forced to switch to Gothenburg in Sweden. The statement reads: “We are aware of the public sector strike that is currently ongoing in Norway. Fred Olsen Cruise Lines have devised an entirely new itinerary for their eight-day Balmoral cruise which left Southampton on Tuesday, just before the strike spread. Instead of visiting Bergen, Flåm, Olden, Eidfjord and Stavanger the ship, with about 1,350 passengers on board, has been to Warnemunde in Germany, Copenhagen, Gothenburg in Sweden, and Zeebrugge. A spokeswoman added: ” Whilst Fred. 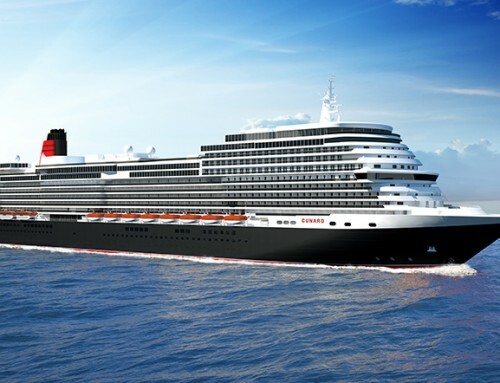 Olsen Cruise Lines very much regrets the inconvenience that this decision will have upon its guests on board Balmoral, the action to revise the itinerary has been taken as a result of factors outside its control. Passengers have been told: “Although it is appreciated that we will be unable to replicate the destinations and cruise experience that the original itinerary would have delivered, we have made every effort to provide you with an appealing alternative. 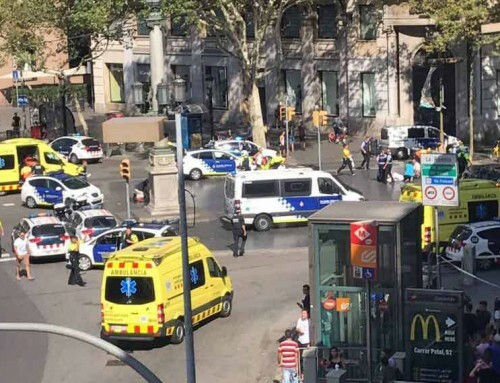 Due to this being entirely beyond our control – a ‘Force Majeure’ situation – and the changes to the itinerary being made out of necessity, there is no compensation due in such circumstances. “All Norwegian tour ticket prices will be refunded and we hope that the local tour providers in the destinations which will now feature will be able to offer an extensive range of local excursions. On Saturday, Vision of the Seas will be starting its next cruise from Gothenburg, instead of Oslo. MSC Opera, sailing out of Southampton, has also had to switch the Swedish port, from where passenger excursions have been re-arranged. 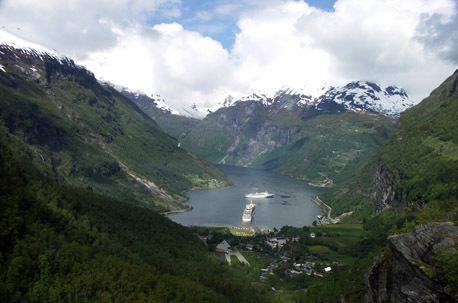 Princess, Holland America and Costa have ships scheduled to cruise the fjords over the next few days. The public workers’ pay dispute first spread to the 42 Oslo pilots last weekend and by Wednesday 103 pilots nationwide were affected because the skippers of the boats which take them to and from cruise ships were called out. The affected ports include Ålesund, Tromsø, Honningsvåg (North Cape) and Kirkenes. As well as cruise ships, the dispute is threatening the country’s fuel supplies because oil tankers have been unable to berth. The only passenger ships to escape the effects of the strike are the coastal express vessels operated by Hurtigruten. 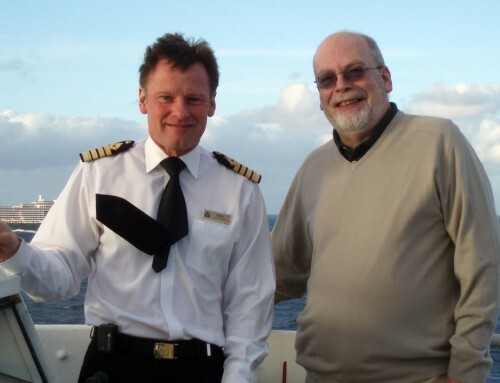 Their captains ply the route between Bergen and Kirkenes on a regular basis and are familiar with every rock and tide race.